Nature Translated: Alexander von Humboldt’s Works in Nineteenth-Century Britain. Edinburgh: Edinburgh University Press, 2018. Print. (co-authored, with Jane Fenoulhet), Dutch Translation in Practice. London/New York: Routledge, 2014. Print. Moving Scenes: The Aesthetics of German Travel Writing on England, 1783-1830, Studies in Comparative Literature 13. Oxford: Legenda, 2008. Print. (co-ed., with Lise Jaillant). Special Issue: “Global Modernisms.” Modernist Cultures 13.1 (2018). Print. (co-ed., with Lut Missinne and Beatrix van Dam). Travel Writing in Dutch and German, 1790-1930: Modernity, Regionality, Mobility. London/New York: Routledge, 2016. Print. Special Issue: “Ingenious Minds: British Women as Facilitators of Scientific Knowledge Exchange, 1750-1900.” Journal of Literature and Science (2015). Print. (co-ed., with Susan Pickford). Special Issue “Translating Eighteenth- and Nineteenth-Century Travel Writing.” inTRAlinea. 2013. Web. <http://www.intralinea.org/specials/travelwritetrans>. (co-ed., with Susan Pickford), Travel Narratives in Translation, 1750-1830: Nationalism, Ideology, Gender, Routledge Travel Writing Series. London/New York: Routledge, 2012. Print. (co-ed., with Sam George) Special Issue: “Botanising Women: Transmission, Translation and European Exchange.” Journal of Literature and Science 4.1 (2011). Print. “Bloomsbury in Berlin: Vita Sackville-West’s Seducers in Ecuador in the German Literary Marketplace.” Modernist Cultures 13.1 (2018): 77-95. Print. “Performing Scientific Knowledge Transfer: Anne Plumptre and the translation of Martin Heinrich Lichtenstein’s Reisen im südlichen Afrika (1811).” Journal of Literature and Science 8.1 (2015): 9-26. Print. “Celtic Censure: Representing Wales in Eighteenth-Century Germany.” Studies in Travel Writing, Special Issue: Travellers to Wales, 18.2 (2014): 1-12. Print. “Outward Bound: Women Translators and Scientific Travel Writing, 1780-1800.” Annals of Science 73.2 (2016 [online 2014]): 1-15. Print. “Foreign Credit: Travel Writing and Authenticity in the Dutch Translation of the Memoirs and Travels of Mauritius Augustus, Count de Benyowsky (1790).” inTRAlinea. 2013. Special Issue: Travel Writing and Translation. Web. <http://www.intralinea.org/specials/article/1966>. “Introduction: Travel Writing, Translation and World Literature” (with Susan Pickford). inTRAlinea. 2013. Special Issue: Travel Writing and Translation. Web. <http://www.intralinea.org/specials/article/1963>. “Natural Effusions: Mrs J. Howorth’s Translation of Haller’s Die Alpen.” Translation Studies 5 (2012): 17-32. Print. “Introduction” (with Sam George). Journal of Literature and Science 4.1 (2011): 1-11. Print. “Revolutions in Botany: Nation, Gender and Education in the French Translation of Priscilla Wakefield’s Introduction to Botany.” Journal of Literature and Science 4.1 (2011): 30-43. Print. “‘These Changes and Accessions of Knowledge’: Translation, Scientific Travel Writing and Modernity – Alexander von Humboldt’s Personal Narrative.” Studies in Travel Writing. Ed. Peter Hulme. Special Issue: Alexander von Humboldt 15.1 (2011): 39-51. Print. “Reading Raabe, Writing Raabe: Deutscher Mondschein as Collaborative Translation Project.” with Michael Ritterson et al., Germanistik in Ireland 4 (2009): 33-51. Print. “Weibliche Pedanterey: Georg Forster über Hester Lynch Piozzi.” Georg-Forster-Studien XIV (2009): 1-16. Print. “Die Rolle von Forsters Übersetzungen in den intellektuellen Netzwerken seiner Zeit: Thomas Forrests Voyage to New Guinea (1779).” Georg-Forster-Studien XII (2007): 59-75. Print. “Annotation and Authority: Georg Forster’s footnotes to the Nachrichten von den Pelew-Inseln (1789).” Translation and Literature 15:2 (2006): 177-201. Print. “Sympathy and Spectacle: Lebende Bilder, Attitüden and Visual Representation in Johanna Schopenhauer’s Travel Writing.” Publications of the English Goethe Society (2004): 19-38. Print. “The Traveller as Landschaftsmaler: Industrial Labour and Landscape Aesthetics in Johanna Schopenhauer’s Reise durch England und Schottland.” Modern Language Review 99.4 (2004): 991-1005. Print. “Travel, Sensibility and Gender: The Rhetoric of Female Travel Writing in Sophie von La Roche’s Tagebuch einer Reise durch Holland und England.” German Life and Letters 57.2 (2004): 127-42. Print. “Dutch and Flemish Cultural Identity: Presentation and Reception in the German-speaking Countries through the Medium of Translated Literature.” Linguistica Antverpiensia XXXIV (2000): 121-58. Print. “Revision and Re-Visioning: Gendering Vita Sackville-West’s Family History in 20th- and 21st-Century Germany.” The Dynamics and Contexts of Cultural Transfers. Ed. Margaretha Fahlgren and Anna Williams. Uppsala: Uppsala Universitet, 2017. 191-202. Print. “‘Fresh Fields of Exploration’: Cultures of Scientific Knowledge and Ida Pfeiffer’s Second Voyage round the World (1856).” Travel Writing in Dutch and German, 1790-1930: Modernity, Regionality, Mobility. Ed. Alison E. Martin, Lut Missinne and Beatrix van Dam. London/New York: Routledge, 2016. 75-94. Print. “Potentially the Noble Creature? : Picturing Heroism in Henry Rider Haggard’s She.” Heroes and Heroism in British Fiction since 1800. Ed. Barbara Korte and Stefanie Lethbridge. Basingstoke: Palgrave Macmillan, 2016. 47-66. Print. “‘With Fry Innumerable Swarm’: Milton as Intertext in Nineteenth-Century Popular Science Writing.” Dante and Milton: National Visionaries and Visionary Nationalists. Ed. Christoph Singer and Christoph Lehner. Cambridge: Cambridge Scholars Press, 2016. 123-46. Print. “The Picturesque Abroad: William Gilpin’s Travel Writing in German Translation.” Der literarische Transfer zwischen Großbritannien, Frankreich und dem deutschsprachigen Raum im Zeitalter der Weltliteratur (1770-1850). Ed. Norbert Bachleitner and Murray G. Hall. Wiesbaden: Harrassowitz, 2012. 125-39. Print. “Daughters of Science: Mathilde Ørsted, Leonora and Joanna Horner.” Readers, Writers, Salonnières: Female Networks in Europe, 1700-1900. Ed. Hilary Brown. Oxford: Peter Lang, 2011. 239-57. Print. “The Voice of Nature: British Women Translating Botany in the Early Nineteenth Century.”Translating Women: Gender and Translation in the 21st Century. Ed. Luise von Flotow. Ottawa: University of Ottawa Press, 2011. 11-35. Print. “Paeans to Progress: Arthur Young’s travel accounts in German translation.” Cultural Transfer through Translation: The Circulation of Enlightened Thought in Europe by Means of Translation. Ed. Stephanie Stockhorst. Amsterdam: Rodopi, 2010. 297-314. Print. “Frauenzimmerbotanik: Unschuldiger Zeitvertreib und Mode?.” Frauen und Gärten um 1800 – Weiblichkeit – Natur – Ästhetik. Ed. Christiane Holm and Holger Zaunstöck. Halle: Mitteldeutscher Verlag, 2009. 36-47. Print. “Raabe’s “English Prophet”: Sophie Delffs as Translator of Abu Telfan.” Raabe International. Ed. Dirk Göttsche and Florian Krobb. Oxford: Legenda, 2009. 149-158. Print. “Rerouting the Self: Georg Forster and the Art of Self-Translation.” Translating Selves: Experiences between Languages and Literatures. Ed. Paschalis Nikolaou and Maria-Venetia Kyritsi. London/New York: Continuum, 2008. 155-168. Print. “‘Je n’ai droit de me placer dans aucune classe de littérateurs’: Octavie Belot (1719-1804) und die Selbstpositionierung der weiblichen Übersetzungspraxis.” Übersetzerinnen zwischen Aufklärung und Romantik, Aufklärung und Moderne. Ed. Brunhilde Wehinger and Hilary Brown. Hanover: Wehrhahn, 2008. 53-64. Print. “‘German Travel Writing and the Rhetoric of Sensibility: Karl Philipp Moritz’s Reisen eines Deutschen in England im Jahr 1782.” Cross-cultural Travel. Ed. Jane Conroy. New York/London/Berlin: Peter Lang, 2003. 81–88. Print. “Übersetzung und die Entdeckung der Welt: Georg Forster (1754-1794) und die Reiseliteratur.” Ed. Harald Kittel, Armin Paul Frank, Norbert Greiner et al. Übersetzung. Translation. Traduction. Ein internationales Handbuch zur Übersetzungsforschung. Berlin/New York: De Gruyter, 2007. 1634-41. Print. “Vita Sackville-West.” Modernist Archives Publishing Project (collaborative project – University of Reading; The King's University, Edmonton; Simon Fraser University; Stanford University; University of Oregon). Web. <https://www.modernistarchives.com/person/vita-sackville-west>. Padma Rangarajan, “Imperial Babel: Translation, Exoticism, and the Long Nineteenth Century.” Translation and Literature, 24.3 (2015): 346-50. Print. Stephen T. Jackson and Laura Dassow Walls. “Alexander von Humboldt. Views of Nature: A Critical Edition.” ISIS: A Journal of the History of Science Society 106.4 (2015): 939-40. Print. 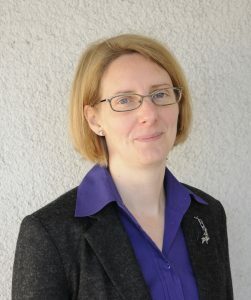 Susanne Schmid. “British Literary Salons of the late Eighteenth and Early Nineteenth Centuries.” Anglistik: International Journal of English Studies 25.2 (2014): 169-70. Print. Vera M. Kutzinski, Ottmar Ette, and Laura Dassow Walls, eds. “Alexander von Humboldt and the Americas.” British Journal for the History of Science 47.1 (2014): 185-87. Print. Yomb May, “Georg Forsters literarische Weltreise: Dialektik der Kulturbegegnung in der Aufklärung.” German Studies Review 35.3 (2012). 643-44. Print. Donna Spalding Andréolle and Véronique Molinari, eds. “Women and Science, 17th Century to Present: Pioneers, Activists and Protagonists.” The British Journal for the History of Science, 45.2 (2012): 309-10. Print. Bettina Hey’l. “Das Ganze der Natur und die Differenzierung des Wissens. Alexander von Humboldt als Schriftsteller.” Journal for Eighteenth-Century Studies 34.3 (2011): 415-16. Print. Mark Napierala. “Archive der Kritik: Die Allgemeine Literatur-Zeitung und das Athenäum.” Journal for Eighteenth-Century Studies 34.3 (2011): 400-1. Print. Molly Mahood. “The Poet as Botanist.” Journal for Eighteenth-Century Studies 34.3 (2011): 417-18. Print. Erdmut Jost. “Landschaftsblick und Landschaftsbild: Wahrnehmung und Ästhetik im Reisebericht 1780-1820.” Journal for Eighteenth-Century Studies 34.1 (2011): 102-3. Print. Review Essay. “Society, Creativity and Science: Mrs. Delany and the Art of Botany.” Eighteenth-Century Life 35.2 (2011): 102-7. Print. Ulrich Päßler. “Ein “Diplomat aus den Wäldern des Orinoko”: Alexander von Humboldt als Mittler zwischen Preußen und Frankreich.“ German History 18.3 (2010): 370-71. Print. Sam George. “Botany, Sexuality and Women’s Writing, 1760-1830. From Modest Shoot to Forward Plant.” Journal for Eighteenth-Century Studies 33.3 (2010): 403-4. Print. Suzanne Keen. “Empathy and the Novel.” Anglistik: International Journal of English Studies 19.1 (2008): 168-69. Print. During the semester break via appointment by e-mail.